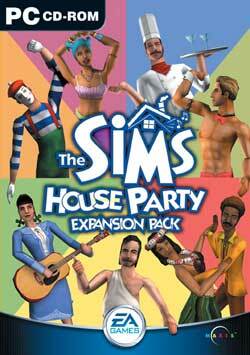 The The Sims: House Party expansion pack to The Sims allows your Sims to have parties within their house. This is done via the telephone options. Not all the guests that are invited will attend your party. You can also increase the numbers by phoning more Sims and inviting them over. Depending on how well your party goes depends on which NPC will show up. To make your party go well make sure your guests have food and plenty to do. Also, spend time with the party guests.